Pay No Mind to the Latest Rumors of a Days of Our Lives Cancelation! Here we go again! 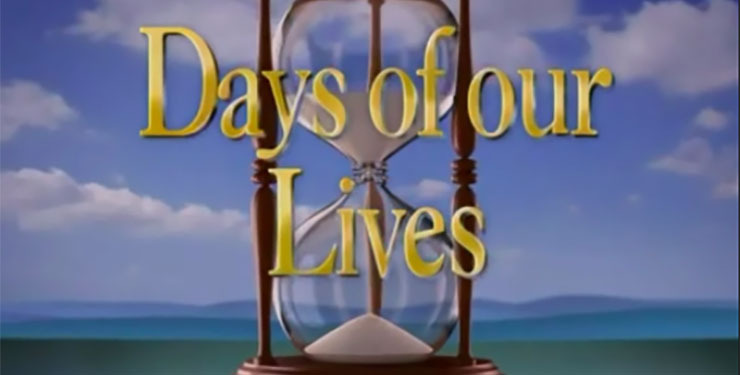 Another rumor about the supposed imminent cancelation of our beloved “Days of Our Lives” is making the rounds in the soap community. However, it is merely Negative Nellie speculation. The Sky Is(n’t) Falling in Salem! Both People and Soaps In Depth reported that Days is set for the chopping block, to be replaced by Fox News anchor Megyn Kelly’s upcoming news show at NBC. Another television industry news site disagrees. Broadcasting Cable reported that Kelly’s show will replace the third hour of NBC’s “Today” show. The popular Fox News journalist recently inked a deal to perform a variety of high-profile journalistic functions at the peacock network including two shows, her own daily one and a Sunday newsmagazine-style one. Though NBC has yet to issue an official statement on Kelly’s forthcoming, the most obvious time for it to air is the currently dull 9:00 a.m.-10:00 a.m. time slot. The announcement of Kelly’s impending move to NBC daytime led to some in the soap opera community wondering if her show could replace “Days of Our Lives,” which has saw a tumultuous year of behind-the-scenes drama, including actor firings and rehirings and head-writer shakeups. The shows ratings also spiked up an down. Most recently, however, the show has seen healthy ratings and increased viewer satisfaction with the airing of the work of head writers Dena Higley and Ryan Quan. Megyn Kelly made headlines last year when Donald Trump berated her during an interview on Fox News. She then posed challenging questions to the then Republican presidential hopeful during a live, televised debate. Much about her show and role and role at the network is still up in the air. Days, meanwhile, has been heating up with juicy storylines and exciting cast additions. Abby (Marci Miller) has returned to reclaim her life in Salem, and Carrie (Christie Clark) and Austin (Austin Peck) are soon to follow, for example. So, Days fans, fear not. “Days of Our Lives” isn’t going anywhere. Look forward to lots more intriguing, fun, captivating drama in Salem for a long time to come. Soap Cities will bring you up to date info on Kelly’s show and how it may affect Days if at all. Wally Kurth (Justin Kiriakis) and Daytime Confidential have a great idea for Kelly’s show! Days will soon air from 12:00 p.m.-1:00 p.m. in the New York City area. Previous ArticleCould AMC and OLTL be Alive In Port Charles? I would be so upset if days of our lives was cancelled, I have been watching this since my early teens when I would go and stay with relatives in Ky and watching the show. I really started watching it faithfully when bo and hope started dating and got married. I am glad they are bringing back some old characters but I really going to miss Stefano. I really want to see hope and rafe get married and finally let some of the old couples to be in the spotlight again. If this show would be cancelled I do not watch any other soaps, so if it gets cancelled it is a matter of time before all the soaps will be taken off the air. Please keep this beloved show on. Thank you for reading and commenting, Bobbie Carter. We agree with you! I never thought for a minute that Days would get canceled because of Megan’s new show. And I speculated that it would replace the current dreadful 3rd hour of Today! Thanks for confirming my speculation! We didn’t think it for a minute either. Thank you for reading, commenting, and agreeing with us! I love Days of our lives. Please don’t cancel my show. That’s all I watch. It’s a stress reliever. Please I have been watching it since 1988. SO happy DAYS will still go on for who knows ,now is important just happy it will still go on…….Tune in everyday without fail and i”m sure DAYS will be there for a good while.